Top tips to ensure you can continue to afford your boating fix next season, whatever the global economy throws your way! With the turbulent forecasts for the UK and global economy, many of us have had to ask ourselves if we can really justify the outlay required to own a boat – most of us already make quite a financial sacrifice in other areas to afford to keep on sailing. But, despite doom and gloom, it is still possible to own a boat on a tight budget by scrimping, saving and making small changes to the way we sail. your boat. There’s no magic solution, but by following our experts’ advice you should be able to shave enough off your cruising budget to carry on sailing in hard times. If you’ve paid for your mooring for the year and your insurance will cover it, why not leave the boat in the water this winter? You may be able to get a cheap deal next spring or summer to haul her out and re-antifoul her – and in the meantime you get more sailing time and no peak-season haulout fees. Heading off on a cruise? You may be able to sub-let your mooring to a friend, or via the harbour master, who may have a list of people desperate for a short-term mooring. Some harbours have clauses forbidding a sub-let, but it’s worth checking. marinas and free storage ashore are part of many berth-holders’ contracts, potentially saving you hundreds of pounds. 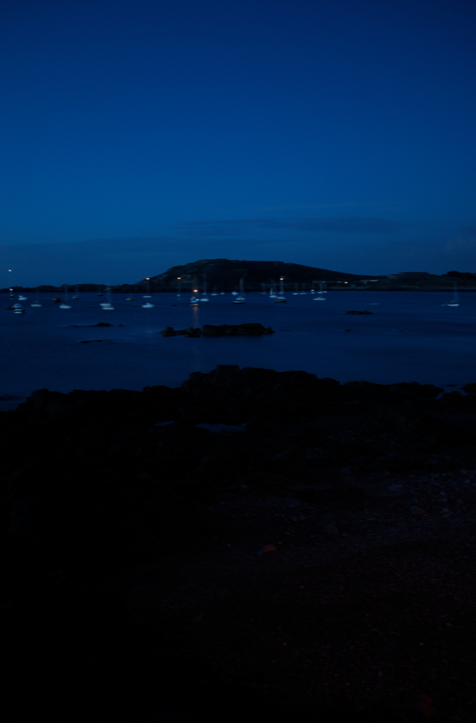 Over the next wet weekend, set time aside to research the best possible moorings deal. While doing so, think about whether there might be worthwhile savings to be had from reorganising your boating season. You might consider opting for a cheaper mooring a little further from home – but if you can plan longer stays on board your boat, and fewer trips shuttling to and from home, you might be able to save a worthwhile sum overall on petrol, diesel and car running costs. Talk to your marina about the coming year’s berthing fees. If you think rates are excessive, say so: it’s worth haggling when there’s plenty of opportunity to move your boat elsewhere should you decide to. The PBO Marina Price Guide (April issue every year) will help – and might show you nearby marinas you hadn’t thought of. 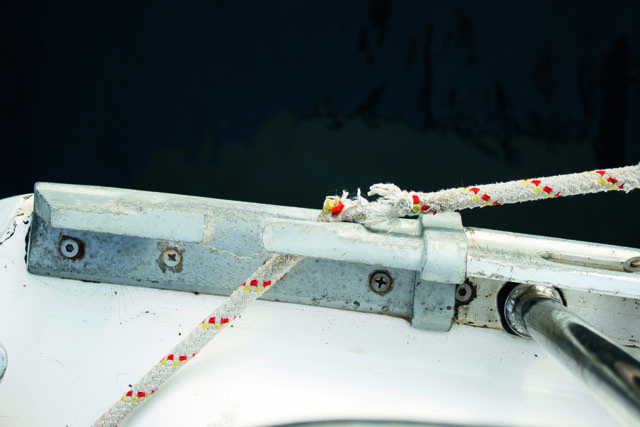 Marine ropes of every type are expensive – and chafe is their biggest enemy. Make sure your mooring lines have a fair lead, or are protected with hose slid over the rope, and don’t leave lines rigged as slips for extended periods; these can chafe remarkably quickly. If you’re not already a member, join your local club – the benefits will far outweigh the subscription and may mean you can move your pride and joy to a club mooring and save thousands of pounds. You may find you can delete much of the cost of lifting out, power washing, blocking off, storage and relaunch every year too if the club offers its members such facilities: others have deals with boatyards. It will pay to take a long-term view – plan your boat savings now and for the future. 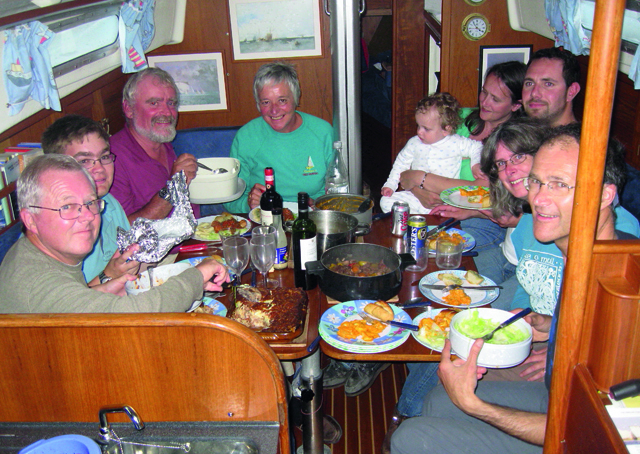 Join your boat’s class or owners’ group – chances are the subs are fairly small and you may become eligible for discounts on chandlery, marine services and insurance cover that will repay the initial cost of your subscription many times over. If you’re a racer, make sure you take advantage of the early entry discount offered by the organisers. For example, in the Royal Southampton YC’s double-handed series, you can save £12 per race by entering early, which soon adds up. If you bought your boat on credit, see whether it’s possible to renegotiate the terms of your agreement or pay it off early – you may be able to save money or negotiate a cheaper deal. Stick to the boat you can afford without having to take out a marine mortgage or loan, then continue to save up for that dream boat. It’ll be cheaper to run the current boat in the meantime, and you’ll own the boat outright years earlier by avoiding interest on a loan. 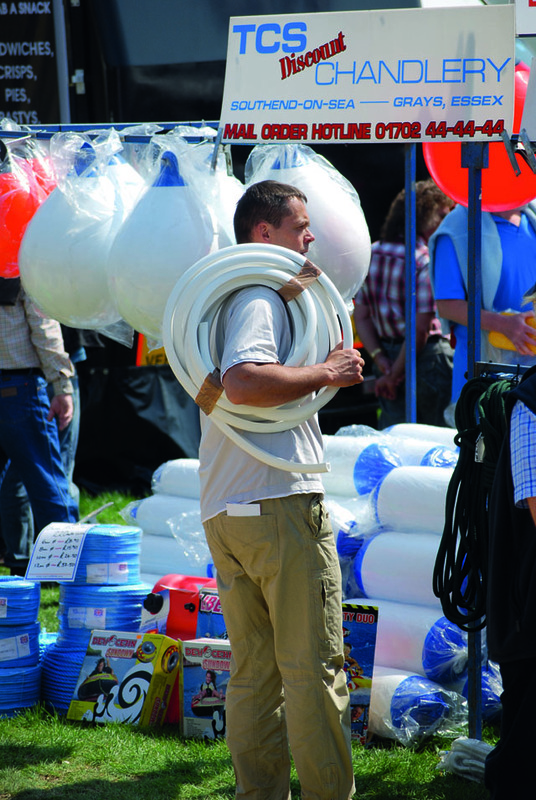 Head to a boat jumble – you should be able to pick up kit for less than you might find it elsewhere, or even to sell your own surplus kit. attic crammed with old boating kit you never use, think about presenting it for sale – via your keyboard. Same goes for finding the occasional bargain boat item, but as ever be wary of parting with any cash until you know you’re getting good value. Don’t pay for your boat insurance or marina berthing monthly – they charge extra for this, usually around 7%. Instead, get a credit card with a long period of 0% interest on purchases and pay that off monthly. Make sure the card is paid off before it starts charging interest, and you’ve saved 7%. If money is really tight, consider downsizing – buying a smaller boat, like a trailer-sailer, which will let you keep sailing while saving on mooring fees. Remember the old adage – the smaller the boat, the greater the fun. You’ll be able to discover cruising grounds you weren’t able to use before. It’s not everyone’s cup of tea, but with the right boat partner, sharing can be a great experience. There are also several companies out there who will manage your boat and find partners to share it with you. This can save an awful lot of money, especially if you find only limited time to use your boat. Buy a quantity of sticky-backed Dacron, a palm and some sailmakers’ needles and you’ll find you can probably carry out most minor sail repairs yourself. Things like mending small tears, reinforcing batten pockets and adding chafe patches are easy to do and give you the chance to inspect your sail at the same time. Flogging is the biggest single cause of damage to sails. It’s inevitable that some flapping will occur when hoisting sail, reefing and tacking, but the sail will last and retain its designed shape for longer if you can keep this to a minimum. 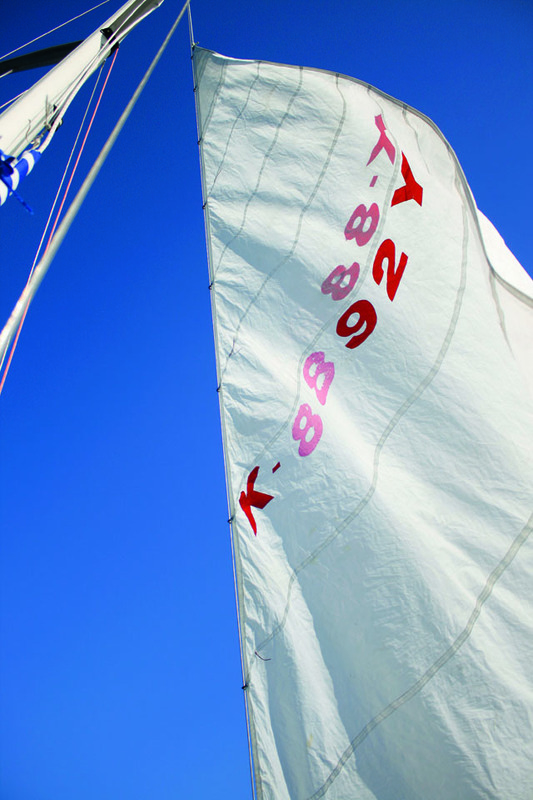 Reef early: sheet sails on as soon as they are hoisted, and avoid motor sailing to windward with the mainsail flapping – this also burns extra fuel as the sail causes extra drag. If still in doubt, consider this: top racing yachts log the number of hours each sail is used, and the number of tacks – that’s a measure of how destructive each tack is to their sails, let alone an extended period of flogging. Sunlight is a killer of sails – many a fine sail has succumbed to an early death through ultraviolet degradation. Never be tempted to skip putting the boom cover on when the boat’s not under way, and with lazy bag systems make sure the bag is zipped over the sail at all times when stowed. 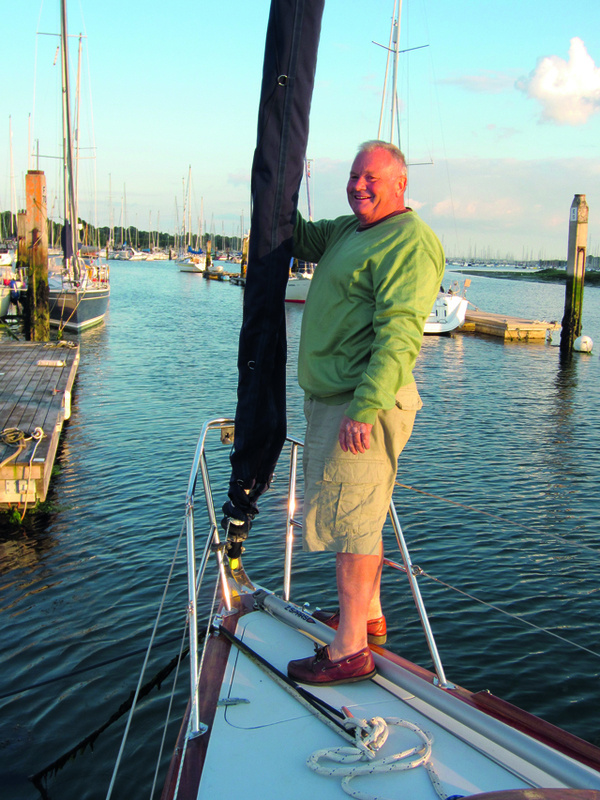 If a sheet or halyard is looking a bit worn, either where it’s held by a clutch or where it exits the mast, you might not need to replace it – instead, consider end-for-ending it. You can also get it ‘sheathed’, with a sleeve put over the area that uses the clutch, to allow it to grip more and lengthen the life of the rope. Ensure your dodgers, hoods and covers last as long as possible by attending to any repairs immediately. Clean them annually and re-proof them as necessary. 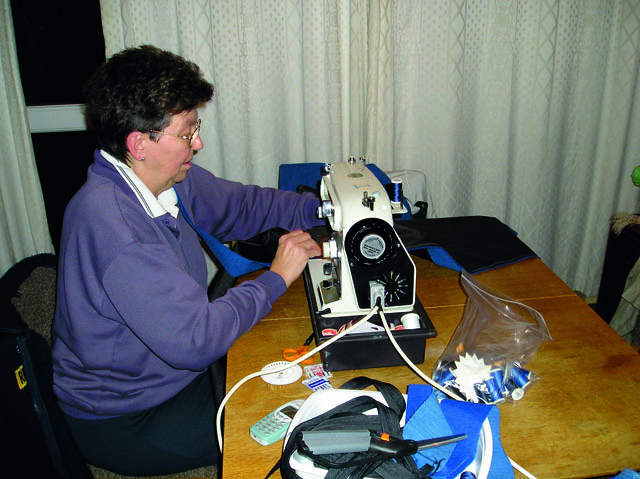 A small hand awl or needle, palm and thread can also be used for minor sail repairs – which can otherwise worsen rapidly if left unattended. A damp boat not only smells but is a bad environment for metal, wood and fabric – all things that are expensive to restore and replace. Spend five minutes sponging the bilge each time you leave the boat and it’ll keep everything drier. Varnishing is not only expensive, it’s also time-consuming. It’s worth keeping up with it and patching any bits of wood that are bare: this will save the brightwork and stop rot or water damage spreading. If your boat has teak decks, careful cleaning with a detergent and a soft brush or sponge used across the grain will prolong their life and delay very expensive replacement. 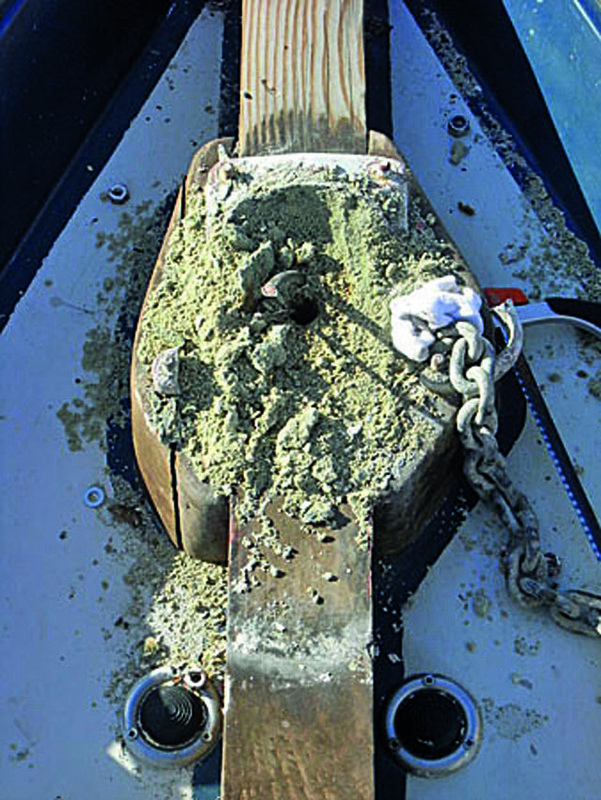 Wash salt deposits from your anchor windlass regularly, especially if it’s mounted in the chain locker. If so, ensure you keep the casing sprayed with a water repellant and keep the electrical terminals well greased. It’s often impossible to dismantle a corroded windlass for repair and replacement is very expensive. Never underestimate sun damage, especially on things such as lifebuoys. It’s worth removing them below when you leave the boat – not only will they last longer, but they won’t be fatally weakened by UV rays. By doing so, they’ll receive little more than 10% of the damage incurred had they been left on deck. Premature battery failure is a common and expensive occurrence, but a well looked-after battery can last 3-4 times as long as one that’s abused. Batteries have a limited number of charge cycles. 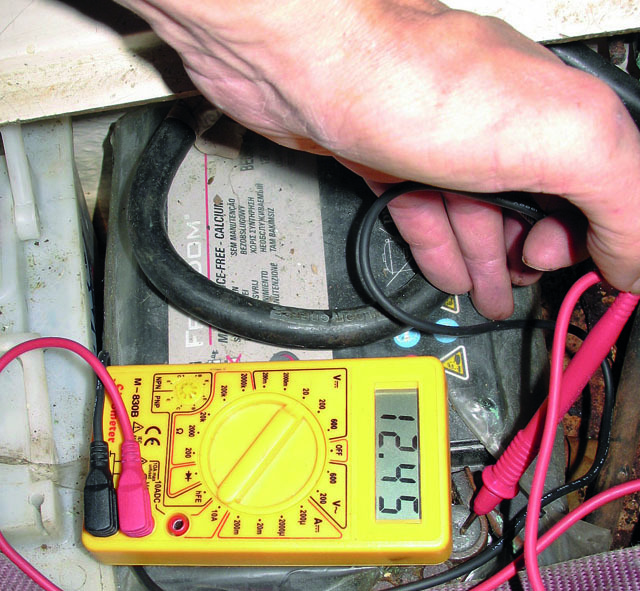 The first rule is not to discharge the battery beyond 12.2V – a £5 digital multimeter will enable you to check the voltage and recharge when necessary. The two biggest power drains are lights and fridges, so it also makes sense to minimise the power they draw. LED lighting has improved dramatically over the past few years, with warm lights now readily available that draw significantly less than 10% of the power needed for conventional incandescent lamps. Another way boat batteries lose power is through self-discharge. This is around 2-3% per month but can be eliminated by connecting a small solar panel, typically costing £10-20 – a small investment considering the replacement cost of a battery. A small panel such as this also doesn’t need time-consuming or expensive fitting – as long as it has a diode to prevent discharging of the battery in darkness it can be laid on the coachroof while the boat is moored, then stored when sailing. you recharge them when needed – and keep a spare fully-charged set on board just in case. Tools are expensive, especially if it’s something you won’t need to use very often. It might make more sense to team up with a sailing friend or two to split the cost. Good examples are polishing machines, routers and hull scrubbers, all of which are costly and often only used a few times a year. Invest in a good book that’ll give you the lowdown on your boat’s mechanical and electrical systems. 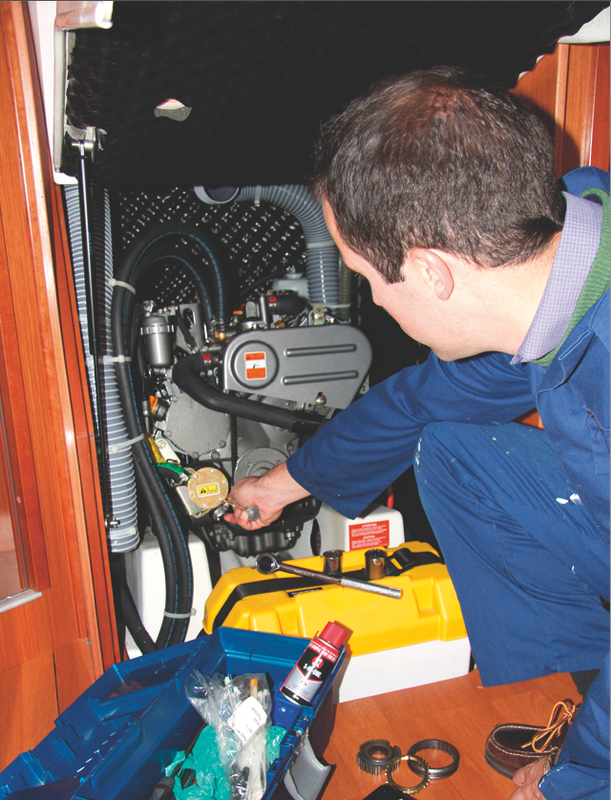 Nigel Calder’s Boat Owner’s Mechanical and Electrical Handbook is a comprehensive example carried by many boats. If you need some onboard woodwork doing but don’t have the carpentry skills yourself, get in touch with your local vocational college, or better still boatbuilding college. The students may be up for a real-life challenge, under the supervision of their skilled tutor. Buy cheap toilet roll for your boat. In any case the more expensive paper is thicker and will block your heads more easily, while the cheaper stuff might just encourage you to use the facilities ashore more often! a good saving – you can buy a cream cleaner from Tesco, for example, for just 29p per bottle. At around £300, this might not seem cheap; until you consider that to hire a diver or lift out to change anodes, give the hull a scrub, inspect moorings and clear fouled props adds up to far more than the cost of the course itself. If you know you’re inevitably going to need spare parts for something at some point – anodes, for example, or a fuel filter or a selection of fuses – buy them well in advance. You’ll be able to get a better price if you buy online and can wait a few days for delivery, as opposed to a frantic last-minute purchase from the only shop that stocks the part in the area, which is also guaranteed to be the most expensive. It’s also worth keeping an eye on eBay, and setting up alerts, to keep track of good deals on items you know you’ll need in the winter. Whenever you want to buy something expensive, ask around the yacht club to see if you can find anybody else who’s planning on making a similar purchase. I have previously haggled big discounts for buying two lifejackets at once, two pairs of sailing boots together and two sets of oilies at the same time. if anybody else has one you can borrow. Website forums such as YBW.com and the Cruising Association are a great for this sort of thing. Always keep a tin of tuna, jar of mayonnaise and bag of pasta onboard. Tuna-mayo-pasta is an easy meal to cook in 10 minutes and will save you having to spend money on a takeaway or meal out when you arrive somewhere, cold and tired, and just want some quick and warm food before bed. Stock up on basic or value range foods such as chopped tomatoes and spaghetti. You can barely tell the difference with these items – especially if the gas runs out half way through cooking! Ration eating out and treat it as a luxury and you’ll save lots of money. If you don’t want the labour of food preparation on board, most supermarkets do ‘offers’ of dinner for two for £10. They’re fantastic value, often including a bottle of not-unreasonable wine. 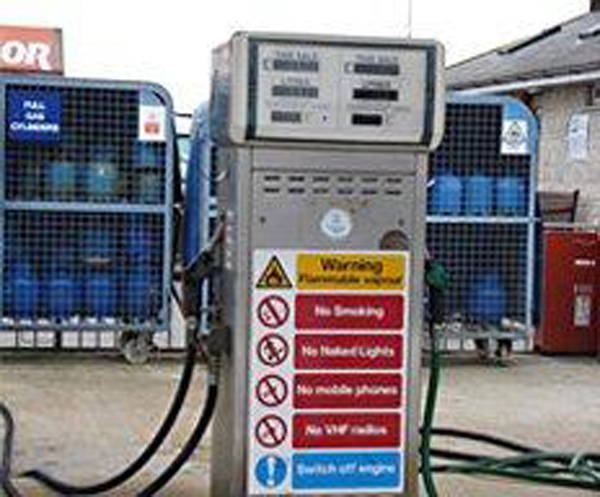 When filling up with diesel, make sure you claim the right amount for heating if you’ve got a diesel heater. When it comes to winter, forget 60/40, you’ll probably use more like 20% for propulsion and 80% for heating – and pay a lower rate of tax on it, too. A displacement hull’s drag increases dramatically the faster you go. When under power this means fuel consumption increases out of all proportion to your speed. As an example, a 10.7m (35ft) non-planing boat (power or sail) of 5 tonnes displacement with a 40hp engine might achieve 4.8mpg at 8.8 knots, but a much more frugal 24mpg at 5 knots! 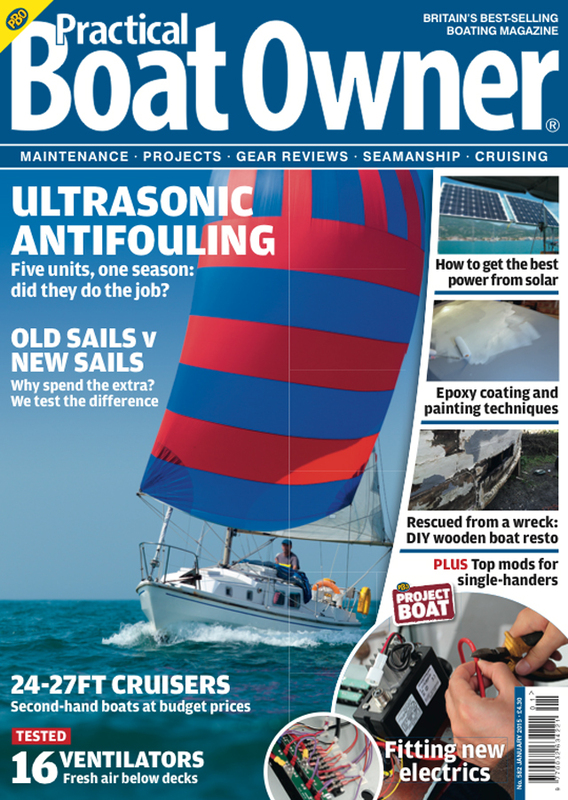 As many modern sailing boats have engines that are really too big for their size, get into the habit of cruising much more slowly under power and you’ll save a lot of money. Decrease your cost per mile by 35% when motoring to windward! If the going is tough and you decide to motor against the wind, don’t head directly to windward, especially in a rough sea. If you head off about 20° to 30° from the direction of the waves, you’ll go maybe 50% faster, but cover only 15% more in distance. It will also be a great deal more comfortable as well. This really is a no-brainer! If you have a planing boat, weight reduction can save a lot on money. A 9.7m (32ft) motor cruiser as supplied from the builder and carrying two people, no water and half fuel would displace, say, 4 tonnes. At cruising rpm it could run at 15 knots using 0.45 gallons per mile (£2.40 per mile). Put all your gear aboard, fill all the tanks and for the same rpm the cruising speed drops to 12.4 knots and each mile will cost £3. On a 5-hour trip, if you carry more fuel than you need, you’ll burn 20% of the extra just to carry it! Don’t stow extra gear and supplies or water on a ‘just in case’ premise. 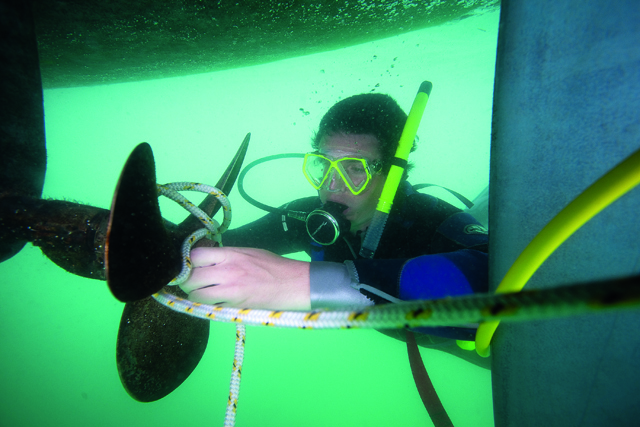 A propeller fouled with weed or barnacles can easily increase your fuel consumption by 10%. Calculate 10% of your annual fuel expenditure and you will see if it’s worth cleaning your prop. Drying out for a tide on a scrubbing grid or piles will cost anything between not a lot and £25. Several people in the same marina can probably club together and have a diver clean your prop for about £60 each. A lift and scrub can be achieved for around £100 or so, either on SeaLift 2 or at some marinas, so shop around. Regular DIY maintenance of your engine is not difficult and can save hundreds of pounds annually. Not only that, but you’ll get to know your engine and be more able to troubleshoot problems with it. 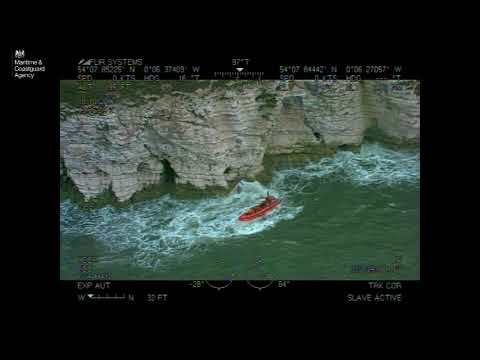 This will also reduce the chances of needing to be rescued in the event of a difficulty, or of calling out a marine engineer at potentially considerable expense. As oil filters are often identical to those fitted to the automotive variant of your engine, buy these branded items from a car spares supplier. The correct lubricating oil bought in bulk will cost much less than in small quantities, so try clubbing together to buy 25lt cans. A service manual will cost about the same as an engineer’s work for an hour. You can even download some for free online for a wide range of engines. Most explain in careful detail how to carry out maintenance and repairs. Theft from boats is always an issue, especially when it comes to easily-stealable items like outboard motors – either take it home or secure it properly. In many parts of the world overnight mooring fees can account for a significant proportion of expenditure when cruising. Anchoring is often free, or at least possible at a significant discount compared to taking a visitor’s mooring or alongside berth. The first few times any skipper anchors overnight are anxious, but familiarity gained from anchoring during the daytime will help to build valuable experience and dispel unnecessary doubts. For a first overnight anchoring experience choose a relatively gentle wind and an uncrowded anchorage. 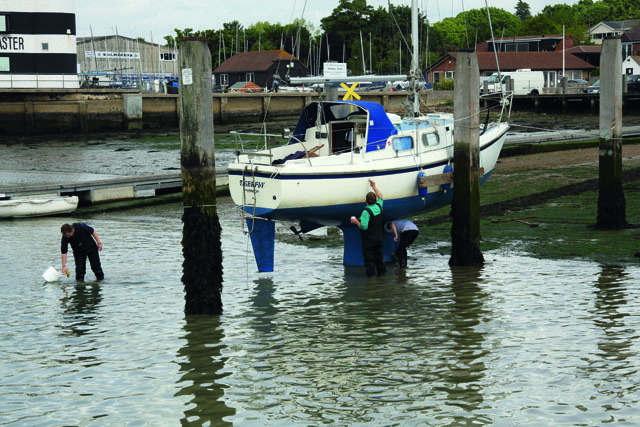 If there will be strong tides, consider setting an alarm to check everything is secure a little after the stream turns – that’s much more reassuring than lying awake wondering whether the boat is OK. When sailing abroad, don’t use your mobile phone to make expensive calls back home: find an internet café and use Skype to call friends and family via their computer back home for free. If you’re going to be staying put in one country for a while, a local SIM card for your phone will save you paying roaming charges. Be realistic about the replacement value of your boat. In the event of total loss boat insurers will pay the insured value of the vessel, and the premium is a percentage of that insured value. Add an extra 20% to the value and you’ll be paying 20% more premium. On the other hand, don’t be tempted to underinsure as otherwise any payout you get from a claim will be correspondingly lower – just be realistic about your boat’s value. If you’re opting for racing cover, be aware that many insurers will only insure two thirds of the value of a rig lost when racing. So shop around – there are still insurers out there who offer full cover on mast, rigging spars and sails. You may not need to buy a new set of oilskins just yet. Before you splash out on new ones, try re-proofing your existing wet-weather kit. There’s a wide range of re-proofing products available. We tested 7 here – and find out how to do it. Most products will maintain the breathability of the garment too. It might be laborious, but you can update your own charts easily by downloading corrections from the UKHO website. We highlight the most important changes in the back pages of PBO each month. Keep on top of it and it won’t seem like such an onerous task – and it means you won’t have to buy new charts. the price of a new anchor chain by a friendly ironmonger. Instead of paying a few hundred pounds to lift your boat out in the local marina or boatyard, get a mate to give you a hand drying her out against your nearest piles. It’ll cost a fraction of the price and you’re likely to find willing sailors to give you their advice for free on any jobs you find need doing. your cockpit locker or garage at home and give them a good polish. You’ll be surprised at how well they come up. 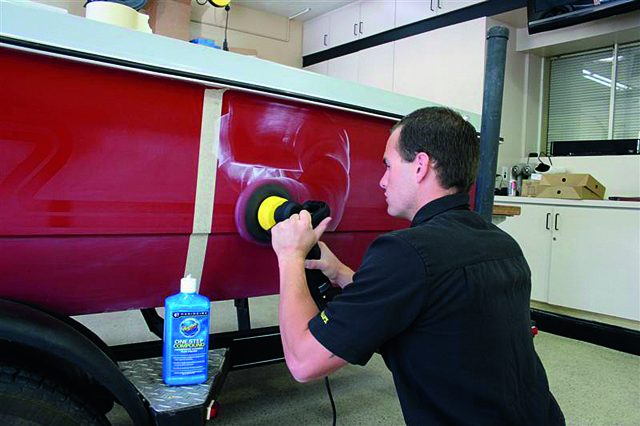 Nearly any gel coat can be restored to an as-new finish. It might need a fair bit of elbow grease, but it’s a lot cheaper than painting the hull, and will last longer, too. Sailing is a simple pastime – and you don’t need the latest gadgets and gizmos or a brand new set of sails to enjoy it. You don’t need roller furling, wind instruments and radar. Sure, they’re nice to have, but keep it simple and get out on the water as much as you can, with the boat you can afford now, rather than the boat you think you want or need. 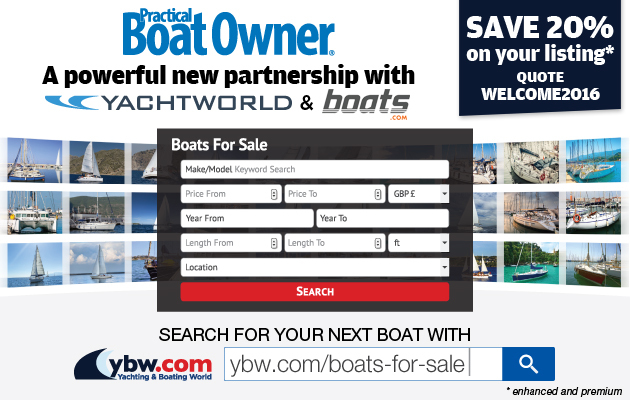 Take out a subscription to PBO, your favourite boating magazine – you’ll save up to 34% on the price from a newsagent. Best of all PBO will be delivered direct to your door so you won’t miss any great money-saving tips in the future.